The Department of Public Policy, in conjunction with El Instituto: Institute of Latina/o, Caribbean, and Latin American Studies, offers joint Masters degree programs in Public Administration (MPA) and Latino & Latin American Studies and Public Policy (MPP) and Latino & Latin American Studies. The objective of the joint MPA/MPP and Latino & Latin American Studies degree programs is to prepare students with functional skills and knowledge in public administration and public policy and at the same time engage them in interdisciplinary study and research related to Latina/o, Caribbean, and Latin American worlds. The Department of Public Policy offers joint degree programs in Public Administration (MPA) and Survey Research (MASR) as well as Public Policy (MPP) and Survey Research (MASR). The objective of the joint MPA/MPP and MASR degree programs is to prepare students with functional skills and knowledge in public administration and public policy and at the same time engage them in interdisciplinary study and research related to survey design, data collection, and data analysis techniques. Create an environment that offers effective protection against, and prevention of, harassment. 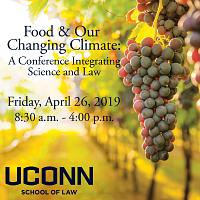 To register, visit http://dpp.uconn.edu/collaborative by May 13, 2019.